Rhett Carter returned to action on Saturday night at Needmore Speedway (Norman Park, Georgia) competing in a field of 11 Southern Clash Late Models. Reeling in a Top-5 finish in the feature, Carter posted a 2nd place spot behind Dalton Cook with Andy Purvis, John Baker, and Tom Jones Jr. trailing them to the checkers. 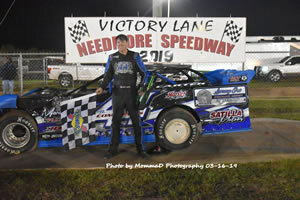 For more results from this event, please visit www.RaceNeedmoreSpeedway.com. For more results from this event, please visit www.WayxSpeedway.com. Rhett Carter was one of 14 Southern Class Late Models signed in at Needmore Speedway (Norman Park, Georgia) on Saturday night for the Frostbite. Reeling in a Top-5 finish in the feature, Carter posted a 5th place spot behind Dalton Cook, David McCoy, Kenny Collins, and Wil Harrington. 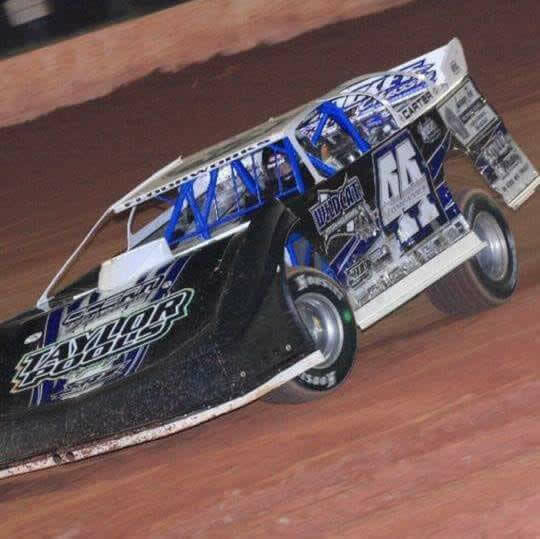 After losing Friday’s opener to Mother Nature, Rhett Carter returned to Golden Isles Speedway (Brunswick, Georgia) on Saturday for the Super Bowl of Racing. In a field of 30 cars, Carter laid down the 11th fastest time in qualifying locking him on the sixth row for the $2,000-to-win A-Main. Breaking into the Top-5, Rhett gained seven spots in the 40-lapper to place 4th behind Joseph Brown, David Whitener, and Kyle Vansickle with Joe Kump coming in 5th. For more results from this event, please visit www.GISDirt.com. Rhett Carter kicked off the 2019 season on Friday night at Cochran Motor Speedway (Cochran, Georgia) for the World Championship. With 28 Crate Late Models signed in for the two-day event, Carter timed in 17th fastest overall in qualifying with a 2nd place finish in his heat. 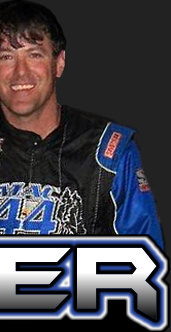 Earning the 6th-starting position for the $10,000-to-win A-Main on Saturday night, Rhett dropped two spots in the 75-lapper logging a 8th place outing. For more results from this event, please visit www.CochranSpeedway.com. 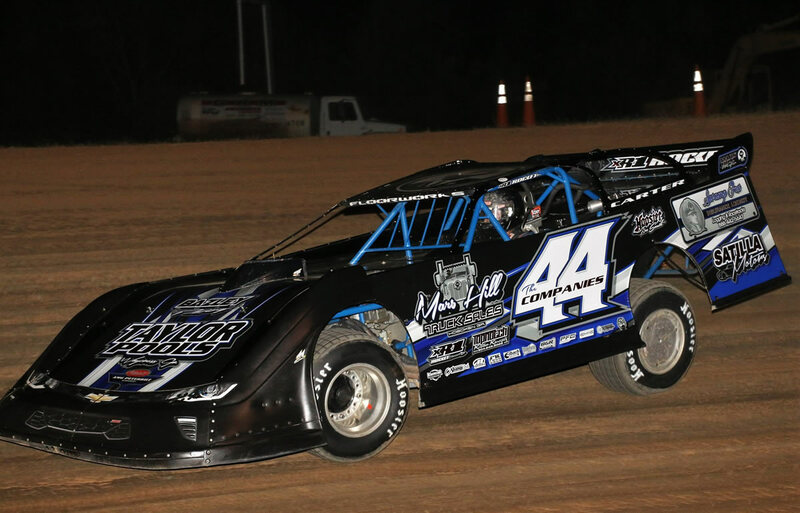 Competing in a total of 29 events during the 2018 season, Rhett Carter bagged seven wins aboard his Carter’s Continental Tire #44 Swamp Fox Insurance Agency/ XR1 Rocket Chassis / Wildcat Performance Engines Late Model. Losing 15 of his scheduled dates to bad weather, Carter recorded 19 Top-10 outings and 14 Top-5 finishes. After Mother Nature shortened the event to a one-day show, Rhett Carter was one of 39 National Late Model Super Car Series entries signed in at Cochran Motor Speedway (Cochran, Georgia) on Sunday for the Gobbler 100. Timing in sixth fastest in his qualifying group, Carter went on to place 3rd in his heat positioning him 7th on the starting grid for the main event. With $10,000 on the line, Rhett Carter dropped back to a 14th place outing in the 100-lap affair. On Saturday night Rhett Carter returned to Needmore Speedway (Norman Park, Georgia) for the Early Bird 50. With 22 cars registered in for action, Carter followed up the fastest time overall in qualifying with a heat race victory. Earning the pole position for the $5,000-to-win A-Main, Rhett dropped one spot in the 50-lapper to place 2nd behind Joseph Brown with John Baker, Dalton Cook, and Tristan Sealy completing the Top-5 finishers. For more information on the event, please visit www.RaceNeedmoreSpeedway.com. Rhett Carter streaked to the $5,000 victory on Saturday night at Oglethorpe Speedway during the finale for the Showdown in Savannah. 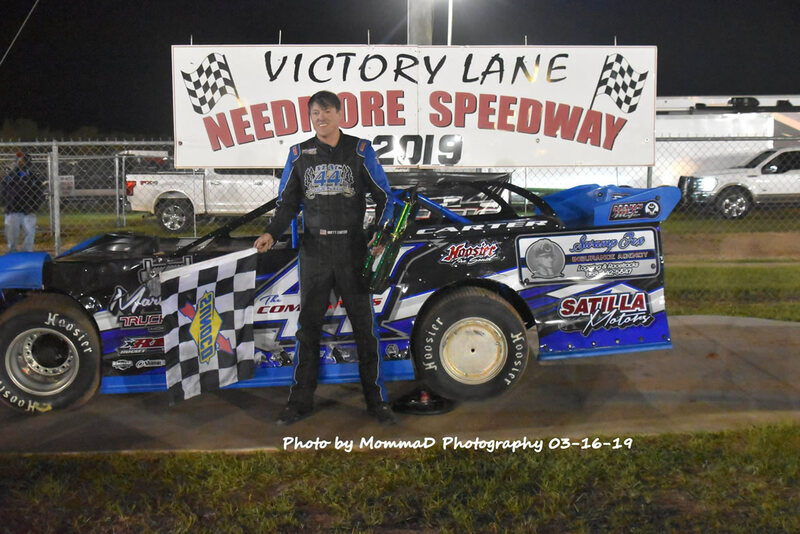 The victory came aboard Carter’s Continental Tire #44 Swamp Fox Insurance Agency/ XR1 Rocket Chassis / Wildcat Performance Engines Late Model and marked his seventh of the 2018 campaign. On Friday night Rhett Carter visited Oglethorpe Speedway Park (Savannah, Georgia), competing in a field of 31 Crate Late Models for the opening round of the Showdown in the Savannah. After laying down the fourth-fastest time overall in qualifying, Carter scored a third-place finish in his heat race, which locked him into the opening night feature. With Mother Nature postponing Friday’s A-Main to Saturday morning, Rhett improved 12 spots in the event to register a seventh-place finish. Starting Saturday night’s feature in the ninth position, Rhett overtook the leader on lap 16 and held the top spot for the remaining 34 circuits to pick up his seventh win of the season and a $5,000 payday. The victory also marked the 75th Late Model win of his young career. “Thanks goes out to Brian Green and Kevin Lee for their hard work this weekend,” Carter continued. “We hung the door from my car in the pub to commemorate my 75th- career late model win. A lot of people have helped me along the way, and I greatly appreciate everyone that has been with me. For more results from these events, please visit www.OSPRacing.net. Carter will invade Needmore Speedway (Norman Park, Georgia) this Saturday and Sunday for the annual Early Bird 50. Preliminary events will be held on Saturday evening, while Sunday will see consolation events and a $5,000-to-win finale. Friday night found Rhett Carter in action at All-Tech Raceway (Ellisville, Florida) for the two-day Deep Dixie Late Model Challenge. In a field of 33 cars, Carter secured his spot into $10,000-to-win A-Main on Saturday night with a heat race victory. Reeling in a Top-10 finish, Rhett registered an 8th place finish in the 100-lap affair. 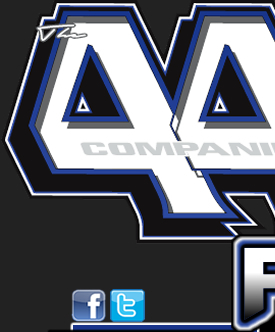 For more results from this event, please visit www.AllTechRaceway.com.